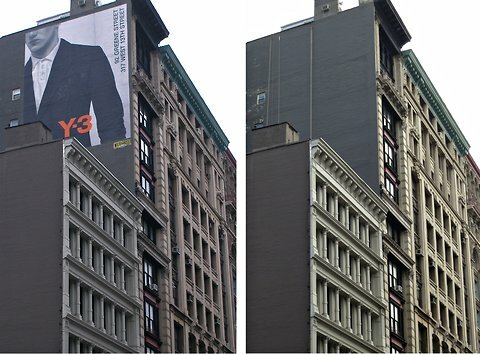 Outdoor advertising giant Colossal media does things olds school, painting instead of hanging their advertising contents on the sides of NYC buildings. While their methods of installation might be different, their approach to using public space reflects the industry wide standard of "we do what we want until you make us do otherwise." treating public space as a pillage-able commodity like any other.